Queenstown, New Zealand – At the Queenstown Research Week Conference 2015, Lifeonics announced the launch of SMOD™, the Smart Measuring Optical Device for real-time, in-flask, cell culture monitoring. 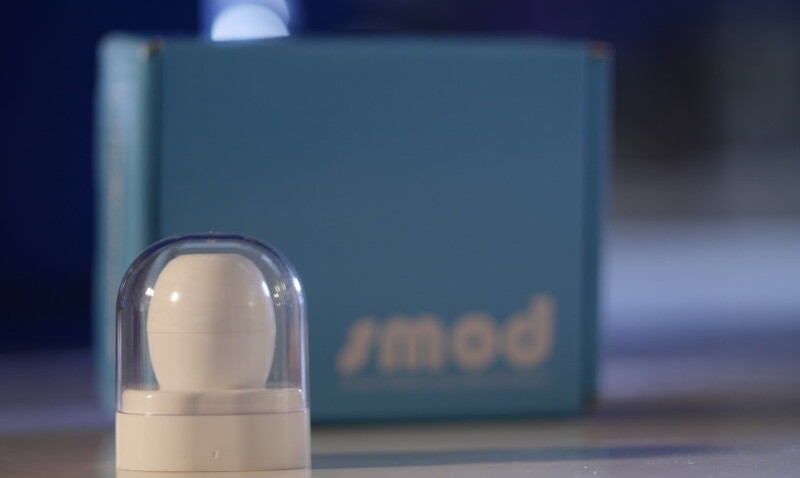 SMOD™ is a unique, miniaturized device for non-intervention monitoring of cell culture fermentation, ideally suited for laboratories growing cells in flasks. SMOD acquires optical density (OD600) and temperature measurements from within the flask, according to user-defined protocols, simply entered into the control software. Data is transmitted by Bluetooth® to a laboratory-based PC. The data can be made available to mobile devices via the local network or internet and can also be exported in CSV format for further analysis. In industrial, academic and research laboratories the world over, suspensions of microorganisms are grown to a critical cell concentration and then harvested for downstream applications. The current method for monitoring of cell culture growth, often in several flasks simultaneously, is a manual, time consuming and often inconvenient task. Cell cultures typically require many samplings and the requirement to harvest cells at a precise time during growth, creates a greater need to monitor the culture continually. With additional risks of contamination and spillage and unsuitability for monitoring of anaerobic cultures, the current bench top photometer OD600 monitoring method, following sampling and dilution, has many disadvantages. SMOD by contrast, offers simple and automated OD600 and temperature monitoring from within the culture media throughout the cell growth, without any interventions. Once the baseline measurement is taken and inoculation is completed, the flask is sealed and returned to the incubator for the duration until optimal time for harvest. SMOD is a consumable device, available for thirty five uses. Following cell harvest, SMOD is removed, chemically sterilised and placed onto its induction charger base prior to its next use.